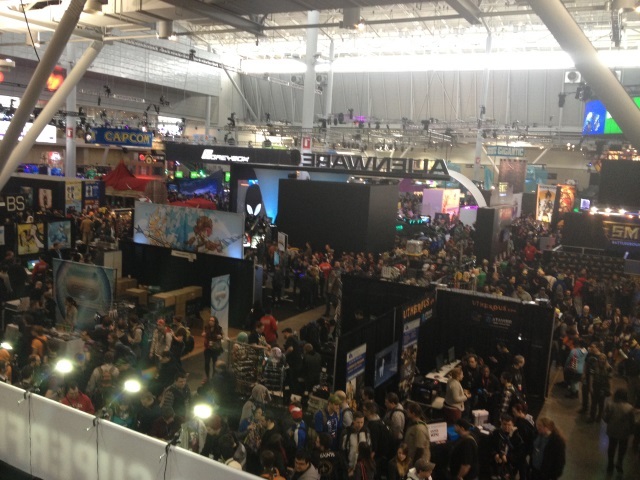 PAX East 2015 & Indie Games Live! 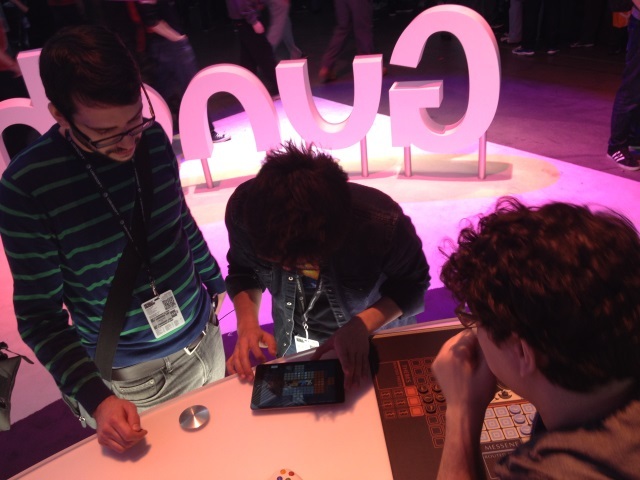 We went to PAX East! Despite there being waist-high snow everywhere in downtown Boston and Shu flying directly to the show from GDC that same week, this ended up being damn fun. 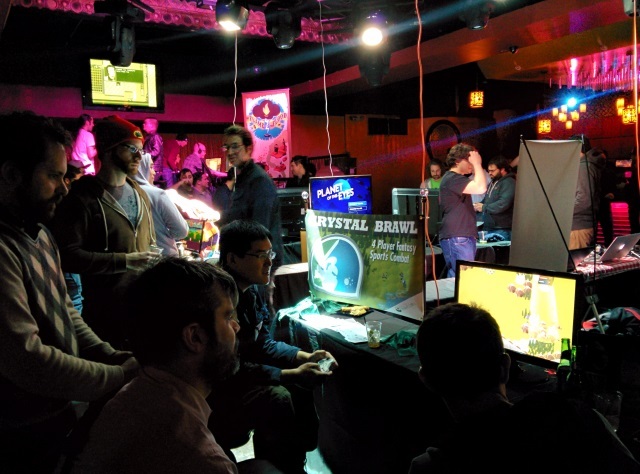 Crystal Brawl got accepted into Indie Games Live, a cool game party held in an underground club! Mercato Art Mastermind (and occasional lead programmer) Chris also showed off his other game Rad Raygun, which always recruits a few superfans at these things. 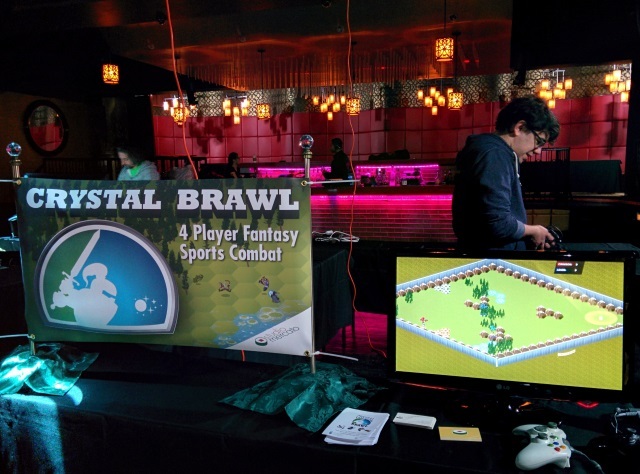 … and we streamed some Crystal Brawl at Gung Ho’s booth! You can catch the whole thing here (the sound is fubar’d at the start, but comes back after about a minute). 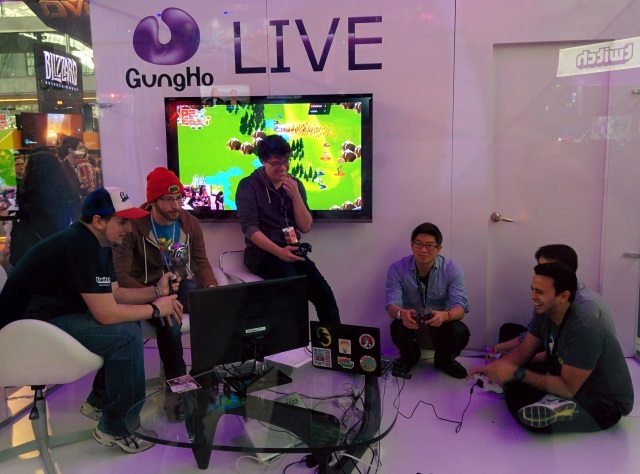 Gung Ho was streaming indies all day! There was a ton of other cool stuff, like ominous music racer Thumper, the return of Harmonix’s Kickstarted Amplitude, and Extreme Exorcism from our buds at Golden Ruby! 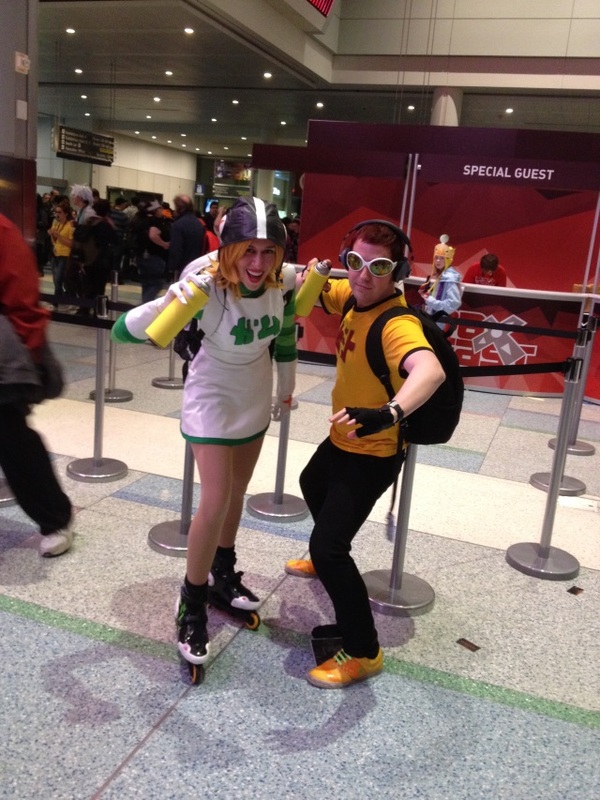 « We Survived MAGFest 2015!